ReadyShot kit. Glock Not Included. To keep any skill sharp, it is important to practice that skill. Shooting is no different. If anything, practicing your firearms skills is more important than many other skills since your life may one day depend on it. However, whether it is due to ammo costs, range restrictions, lack of time or some other reason, many of us might not get to train as often or in the manner that we would like to. 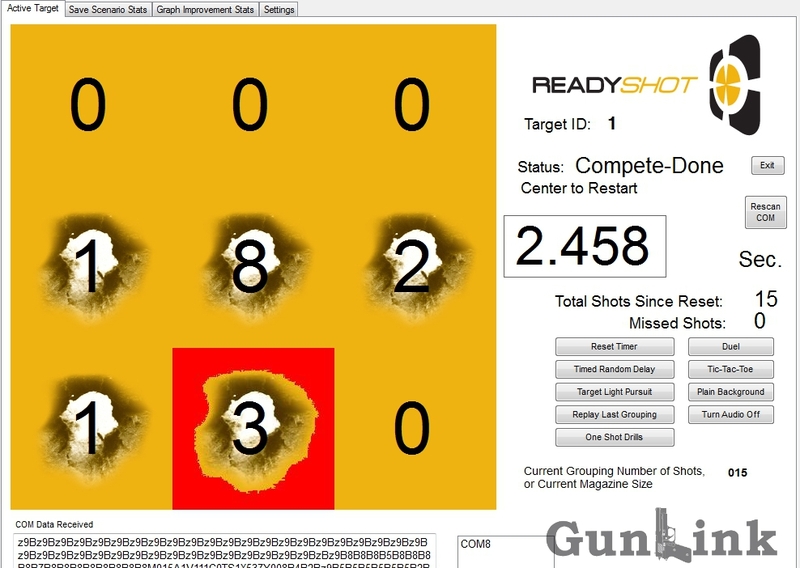 We recently had the chance to try out a new tool that can help keep shooting skills sharp – the ReadyShot system. We met ReadyShot founder Brent Backhaus at the 2014 NRA Annual Meetings where he introduced us to his creation- a laser training system that lets you train how you want, where you want, when you want, with your own firearm. We have used laser training tools before and have done our fair share of dry fire/snap cap practice, and each of them have their own benefits and downfalls. For instance, dry fire practice with snap caps is a great way to work on draw-and-fire drills, work on grip and trigger manipulation and other fundamentals but, without feedback on where your “shots” hit, it is of limited use. Some laser training tools give you various degrees of feedback but, with simple bullseye-style targets or cans, they more closely mimic plinking practice rather than practical firearms use. Further, many of them may be difficult or tedious to use, requiring the user to cycle the slide or hammer to reset the trigger to allow for follow up shots. 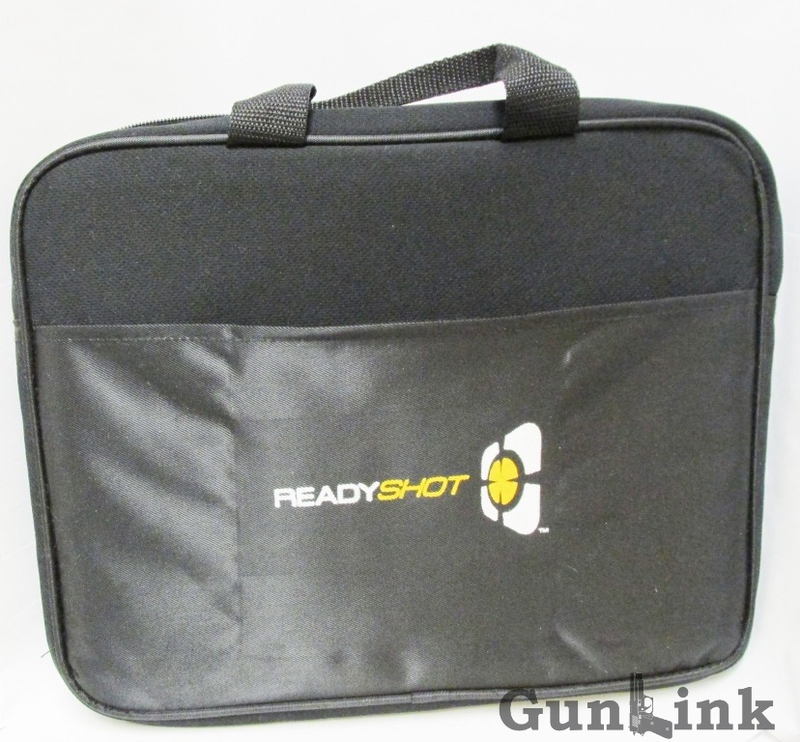 The ReadyShot overcomes many of those issues through its innovative target system and gun insert for single action striker fired pistols like the Glock and XD. 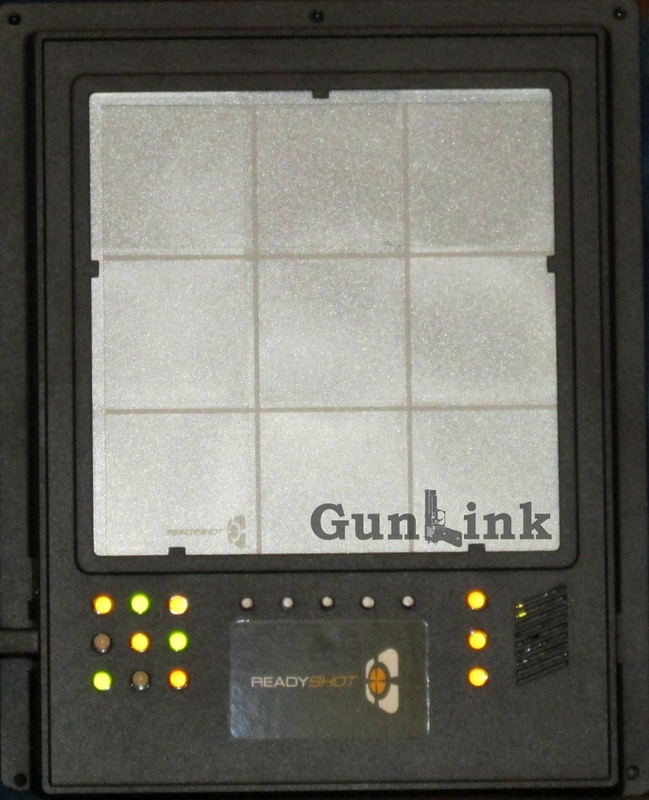 Additionally, each component of the ReadyShot system is available a la carte and is, for the most part, compatible with other laser training systems. 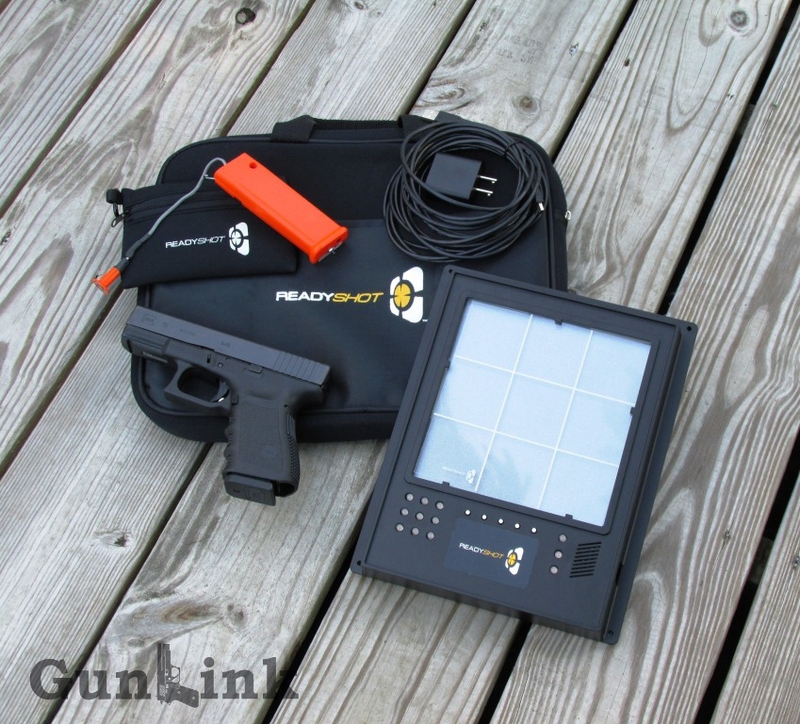 We had a chance to try out the ReadyShot Glock Kit both as a standalone unit and with other training system components. The target itself is different, if not a bit more sophisticated, than some other laser targets. 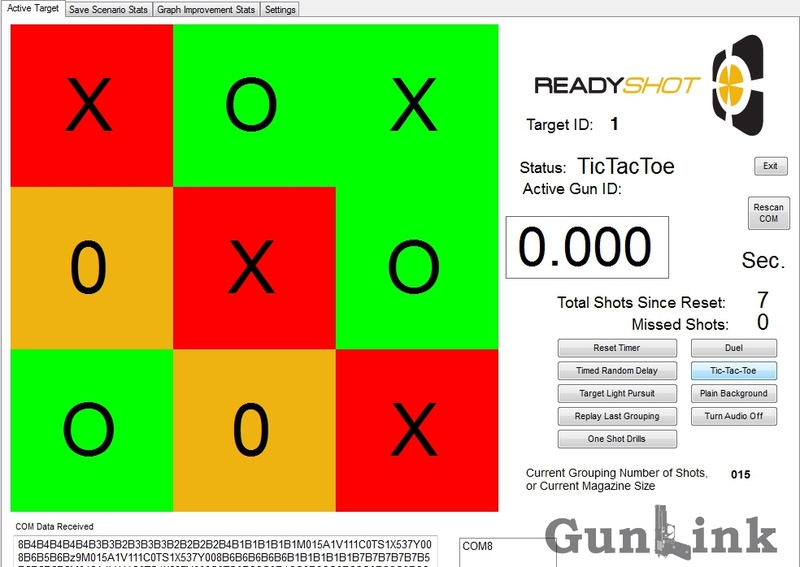 For example, whereas other systems may consist of a simple bullseye target, the ReadyShot includes standard target practice as well as a number of user-selectable modes. In free shooting mode, the unit registers laser hits on the target grid and indicates which section was hit via the LED display below the target area. Shots are also accompanied by a gunshot sound for added realism. Through the target’s built in speaker the sound isn’t all that impressive but when connected to a home sound system via the stereo jack on the unit it sounds much better. In addition to free shooting mode, as a standalone target the ReadyShot offers several other modes, including “multi-player” modes for Tic Tac Toe and a duel mode that pits you against a fellow laser-gun-equipped shooter to see who can hit the target first after the cue. Although the target is compatible with most laser systems, additional featuers are enabled when the target is used with one or more ReadyShot laser inserts. Perhaps most practically useful is the Timed Random Delay practice mode. In this mode, the user will set up the target in a location of their choosing and then go about their business. After a random time delay of up to nine minutes, the target will play the sound of breaking glass (again, the sound is much better when connected to a sound system rather than the on-board speaker). 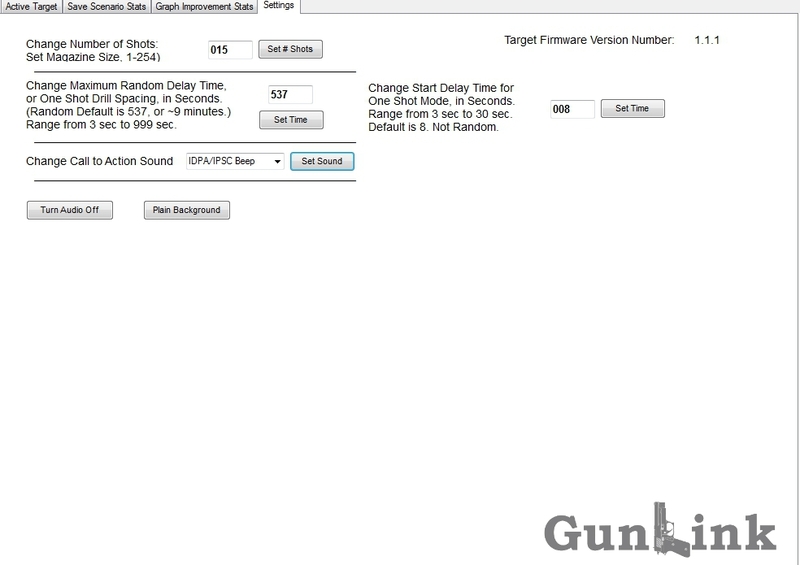 After the sound, the user will retrieve their laser-equipped firearm, find the target and shoot it. After the round is over, shot placement and timing can be reviewed using the LED display. This is a tremendously valuable tool to practice potential real-life tactical situations in your own home with your own firearm. Although the target already offers so much as a standalone unit, it offers even more when used in conjunction with the included computer software. 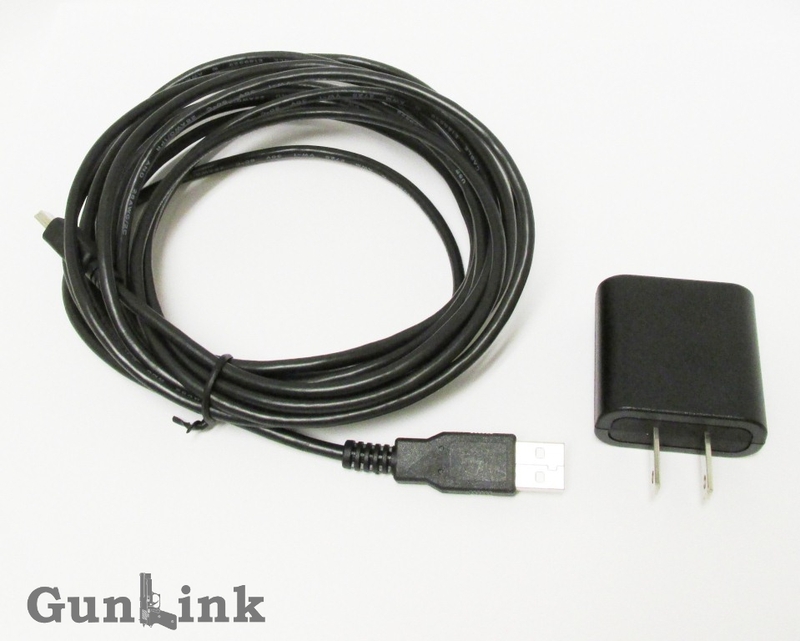 Additional modes, easier configuration, user data logging, progress tracking and more are enabled when the target is connected to a PC using the included USB/charging cable. We used the target with the ReadyShot Glock Pistol Insert (see below) in a G19 and it ran like a top, firing the laser pulse with every trigger pull and registering every “hit” with no false hits. We also used the target with LaserLyte’s LT-PRO in several pistols (of course, since the LT-PRO is sound/vibration activated, it can not be used in single-action striker-fired pistols like Glocks and XDs). For the most part, the LT-PRO setup worked fine with a few exceptions. In some instances, without slide movement, the trigger did not reset after dry firing the pistol and it needed to be manually reset. In other cases, the trigger reset/release or other pistol movement clicked loud enough to trigger a laser pulse from the LT-PRO, which unintentionally registered as hits on the target. The ReadyShot target can be powered from the included AC power cable (plenty long enough to position the target everywhere we tried) and USB adapter or from two rechargeable AA batteries (not included). When connected to a PC, the unit receives power from the USB port. When rechargeable batteries are inserted, they are trickle charged when the target is not in use – a point which makes it important not to use regular alkaline batteries in the target. Owners of single-action striker-fired pistol may be feeling left out when it comes to using many of the laser training devices currently on the market. 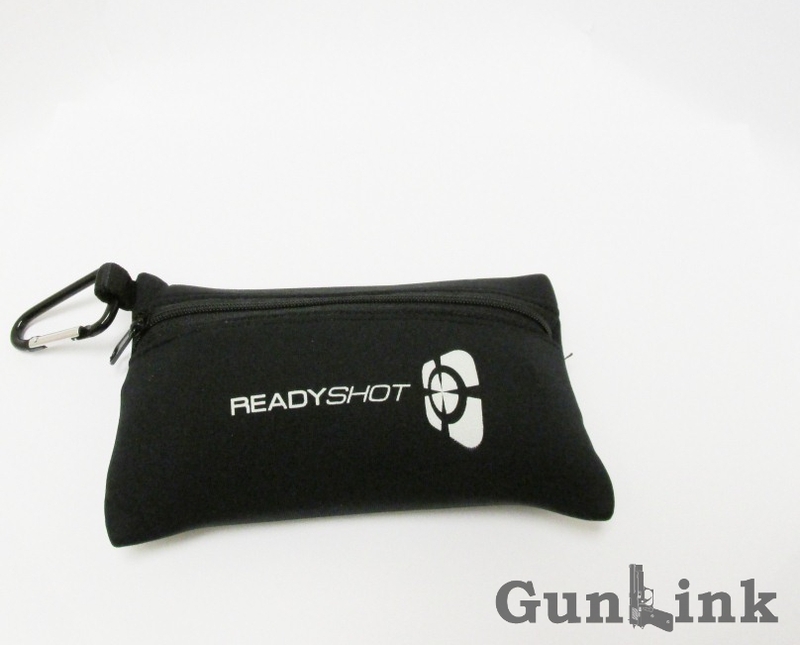 ReadyShot’s pistol inserts are available for over two dozen types of firearms, including striker-fired pistols such as Glock, Springfield Armory XD and Smith & Wesson M&P. If you use a pistol which does not currently have an insert available, ReadyShot can make a custom insert for you using an existing magazine body for your pistol. All of the pistol inserts function almost identically. The insert consists of a magazine body or dummy magazine which houses the electronic circuitry, batteries and a weight to give the feel of a loaded magazine. A wire lead protrudes from the top of the magazine and is fed through the barrel (as an added safety bonus, this ensures that your firearm cannot be loaded when using the system – always follow the four laws of gun safety) to the laser emitter. A magnet affixed to the rear of the trigger pulses the laser when the trigger is pulled rearward. For Glock/XD/M&P type pistols, an additional spring protrudes from the top of the magazine which is placed on the trigger bar using the included tool. The spring applies forward pressure on the trigger bar, returning the trigger to the reset position after each shot. This method is not 100% realistic, however. The pistol action does not “click” with each trigger pull because the user is only applying pressure against the trigger spring, the firing pin mechanism is not actually firing (which may be a plus if you are worried about issues like “Glock Breech Face Failure“). We did not measure the trigger pull weight to compare it to the “real” trigger pull, but there was no noticeable difference in practice. Despite these minor considerations, this system seems like a great solution for practice if the alternative is a $200 trigger reset kit that is only available for certain pistols and must be swapped in and out each time you want to use it. Installation of the pistol insert kit is only marginally more difficult than inserting a normal magazine. 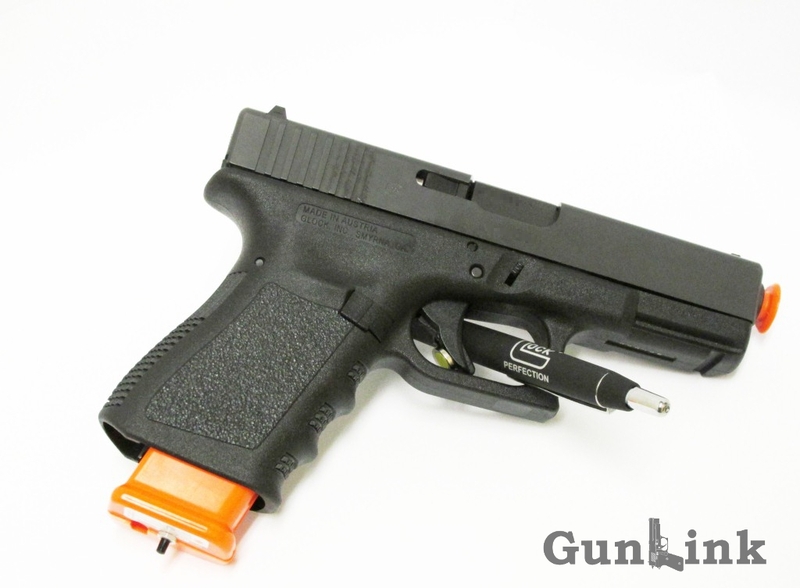 For the Glock 19, an extra half-inch or so of the dummy magazine extends past the bottom of the grip – about what you would see if you inserted a G17 magazine. 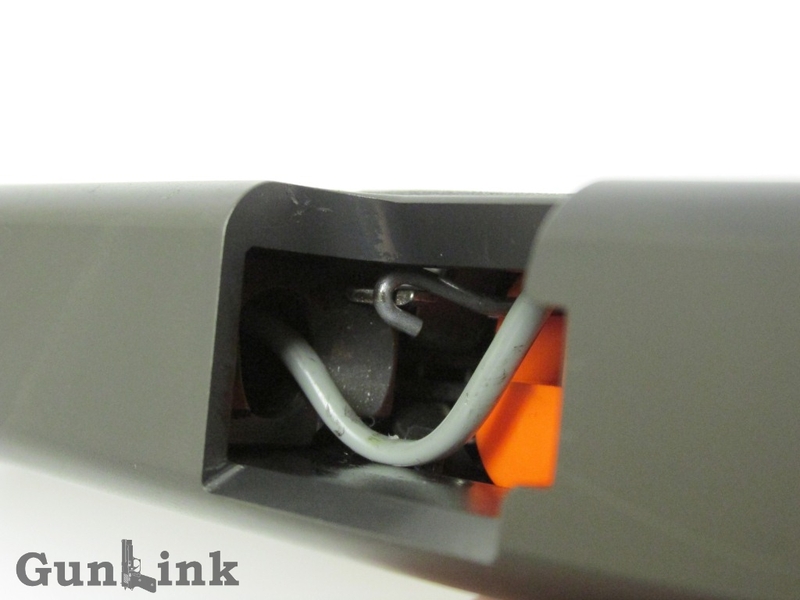 As the magazine is inserted, the connector on the wire lead is fed through the barrel. With the magazine inserted, the laser emitter is connected to the wire lead from the muzzle end and, if necessary, the trigger-reset spring is put into place. The magnet is attached to the rear of the trigger using the included adhesive dots. Although the instructions say that the magnet may remain in place during normal use, the magnet popped off during one of our live-fire shooting sessions. Aside from the possibility of losing the magnet, we wouldn’t feel comfortable introducing any sort of potential obstruction for a firearm trigger – especially on a CCW pistol – so we would recommend removing the magnet and sticky dot after each practice session. Is ReadyShot the Right Laser Trainer for You? There are, of course, a number of advanced training systems on the market – maybe half a dozen systems at the past couple of SHOT Shows. As the shooting community continues to see the value of this type of training, that number is likely to continue growing. Laser training, in general, has multiple benefits. Versus standard dry fire/snap-cap practice, laser training provides valuable instant feedback. Versus actual range time, laser training can save shooters big money on ammunition costs. Coupled with the fact that many ranges discourage or outright disallow many shooting practices (such as shooting from cover, prone, kneeling, drawing from a holster, etc. ), laser training really shines by allowing you to do all of this in a realistic environment such as on your own property. 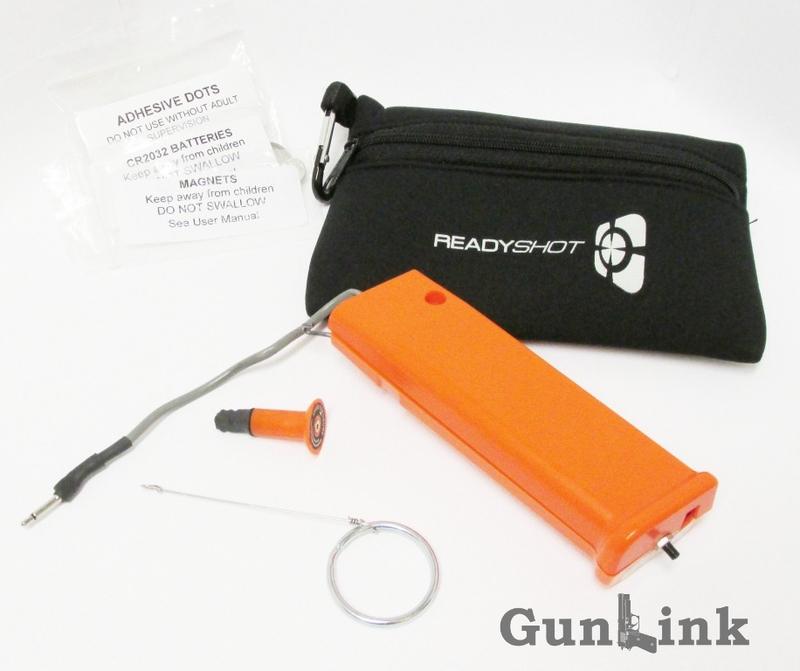 The ReadyShot takes this even a step further with its practical modes that encourage the shooter to hone skills such as reaction time, drawing, and maneuvering through your own house to reach the target. However, laser training is not the be-all-end-all solution to defensive firearms practice. Aside from minor differences like possible differences in trigger pull, this type of practice also does not allow the user to prepare for other aspects of real-world practical shooting such as recoil management, bullet drop at distances, muzzle flash in the dark, etc. While laser training systems cannot be a total replacement for live fire practice or other training, it is most definitely a valuable supplement that allows for hours of realistic low-cost practice without traveling to the range or enrolling in expensive classes. 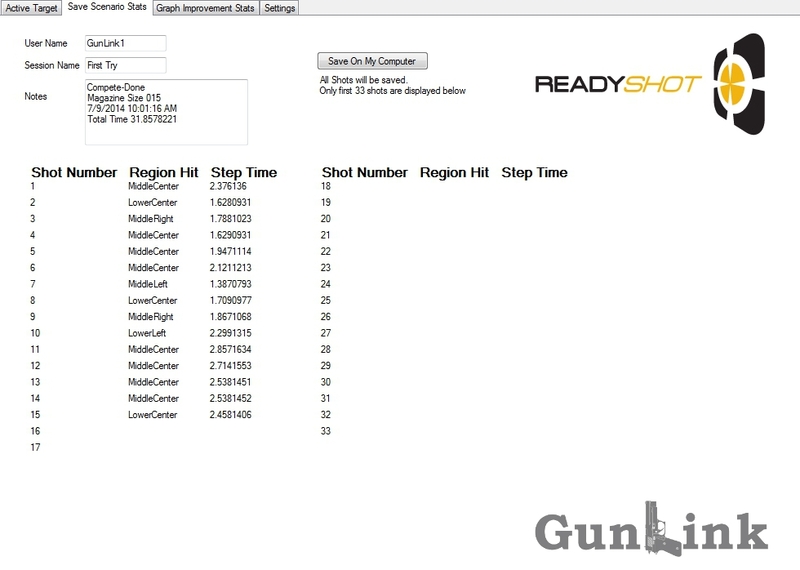 Each shooter needs to determine their best training regimen, but the ReadyShot system makes it easy to add this aspect. Is ReadyShot still in business and if so, what is their web page? I hadn’t heard anything about them going anywhere. I remember that last time I had talked to Brent that they would be doing some website work. It looks like readyshot.com is down. 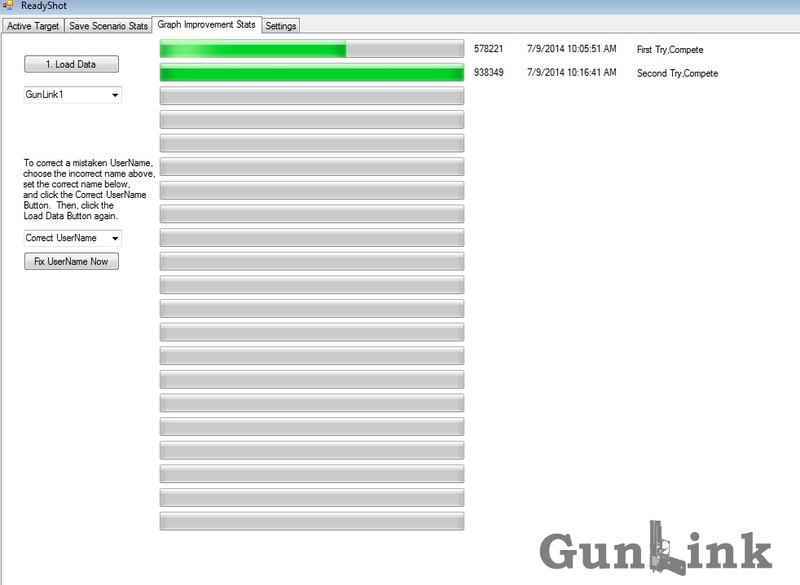 http://homegunrange.com/ is also their site and it still has the Ready Shot logo icon in the browser window, but the page just looks like a placeholder. They aren’t listed on the NRAAM exhibitor list, but the show is still a few months away and the list might not be complete.